Repayments Available From 12 - 240 Months. Borrow £1,000 To £150,000 For Any Purpose. Competitive Loans For High & Low Credit Scores. 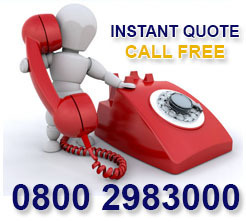 Free Quotes & No Obligation To Proceed. At some stage or other we all may well need to take out a loan. This can be to pay for a special project, cover an unexpected financial expense, consolidate some debts or to make a key purchase. Money obtained through us can be utilised for virtually any purpose and our lenders have a wide range of repayment periods to keep your loan affordable. Some of the more popular ways clients use their loan are: buy a car, go on holiday, fund a wedding, purchase a caravan/static home, replace a kitchen or bathroom, get the garden landscaped, extend or renovate their home and even have cosmetic surgery. Furthermore if previous loans or credit cards are getting on top of your cash-flow then taking out one loan for debt consolidation can help as a way of refinancing - by improving your cash flow and getting back in control of credit bills. With over 25 years experience trust us to help you obtain your ideal loan - get a free, no obligation quote on our lenders most competitive any purpose loans from £500 to £150,000. Call our UK loan team free on 0800 298 3000 (freephone) or dial 0333 003 1505 (mobile friendly) otherwise enquire using our short on line enquiry form and we will talk through what you are trying to achieve and aim to get your loan funded as soon as possible. There is no obligation to accept any offer made regardless of your own scenario and you only borrow the amount of money you require. We have lenders loan plans that could help if you have been declined elsewhere or have a low credit score. Some of our clients with scores below 240 have obtained loans for significant amounts. In addition you can even spread your payments over an agreed time to suit your budget and we have options for both homeowners and tenants. Any purpose loans are subject to status. There are many loan plans available, but not all will be suitable for your individual situation and not all of them are available direct to the public. By definition a loan is something that is borrowed with the intention of returning it at a later date. In terms of finance, loans are a financial transaction whereby a lender agrees with a borrower a specified amount of money to be provided to you for a purpose of you choose that will then have to be repaid over a set period of time through regular payments which include added interest so the lender makes a profit and at the end of the term the payments end and no balance is outstanding. There are two primary types of loans available: secured loans and unsecured loans. Secured loans often can be more flexible in terms of accepting you or granting large loans and repayments can be stretched over periods from 3 to 25 years to help affordability. However they will need some kind of security for the lender to use as collateral; this is ordinarily your home and falls under the same framework as a mortgage with the same risks. An unsecured loan has no security, but will be limited to lower amounts over shorter terms, normally a maximum of 5 years, to counteract this. Choosing which loan is best suited to your requirements can be confusing but is a key decision you need to make and a little help may be useful. 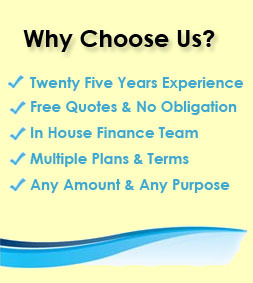 Here at First Choice we have access to both loan types and will always try to answer any queries you may have. If we explore secured borrowing we will look at both second and first mortgage (remortgage) solutions for you from our panel of lenders. Fill in our short online application form or give us a call for free on 0800 298 3000 and one of our UK loan & mortgage team can work with you to see your options through us, be it secured or unsecured loans you are interested in we will always try to help. 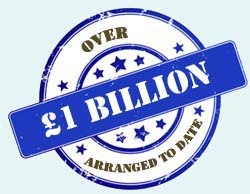 Unsecured borrowing is a great way at times to get things done that you need but can be limited, especially if you are looking to borrow a larger sum of money or wish to spread the payments over more than a few years (many unsecured loans have a maximum term of 5 years). If you own your own property a homeowner loan can be an alternative way to borrow some money. Homeowner loans are another way of referring to secured loans and are only available to you if you have enough equity in your property. With a homeowner loan you can often borrow more money than an unsecured counterpart, typically from £5,000 to £200,000 and some can be on cheaper rates. Obviously, when borrowing larger sums of money it is essential to have multiple options and we will find you the best homeowner loan from our panel then give you a free quote to see if you want to go ahead. Because the lender has security they are more willing to consider more complex scenarios such as some adverse credit, even if you have been declined before. Save time and money, contact us on the above number to speak to one of our in house loan team members or fill in the short on line form and we will call you. Unsecured personal loans can be more straightforward than trying to arrange a homeowner, any purpose loan but they sometimes have higher rates and . 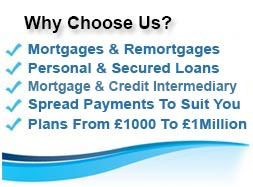 With most unsecured loans you can borrow up to £10,000 or possibly more if you fit the lender`s criteria. Lenders are competing for your business in this space and as a rule of thumb the better your credit history the more options you will have available. Some personal loans lenders and banks may even allow 7 year terms and figures of £15,000 and beyond if you meet their criteria. 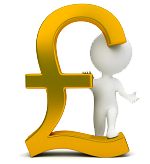 If you do not match the high street there are other unsecured lenders who may still help you. Failing that if you are a homeowner you may be able to get a further advance from your mortgage provider or your could explore secured personal loans, these are a little more flexible in their credit history approach, terms allowed and amounts that can be released. That being said the lender is being put in a less risky position as you are offering them a second charge on your property to help convince them of your sincerity to pay the loan of. Personal secured loan plans enable you to potentially borrow from £3,000 to £150,000, with repayments spread over three to twenty five years. They are available to homeowners and mortgage payers with good, fair and poor credit subject to meeting the lending criteria and being able to afford the loan of course. Guarantor loans fall under the unsecured loan category, terms and amounts being similar to other unsecured loans, 1 to 5 year terms and amounts from £500 possibly up to £15,000, the latter amount probably requiring a good payment performance on a smaller advance first. 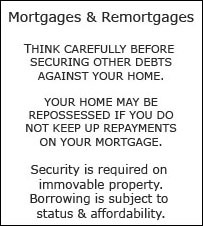 The effective security here is your `guarantor`, they are liable to make your loan payments if you fail to do so. They will need to enter an agreement with the guarantor loan lender as well as your self, to make sure they are aware of these obligations. Friends, family or colleagues are able to be guarantors, one main exclusion is they cannot have a tied financial product with you already, such as a joint bank account, so bear this in mind. 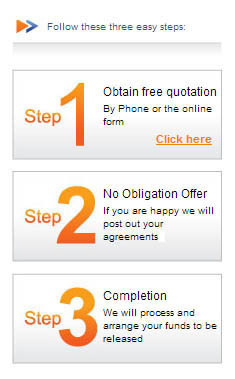 We have guarantor loan plans via First Choice, give us a call or enquire on line and we will talk through your options. 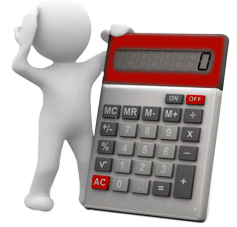 We have developed a number of loan calculators to help you establish the true cost of your loan. Knowing how much the loan will cost you, the amount of time it is required to pay it off, or even the loan to value you are working with, are all questions that will be floating around the application process. Our loan calculators can answer these questions for you and ease any worries you may have with regards to cost. Loans can be an effective and affordable way to obtain some money and our calculators can crunch the numbers before you have even applied. Head over to our loan calculators page (see the top tabs and click calculator) and see for yourself. If the figures are looking in the right area for your loan options then give us a call on 0800 298 3000 (free phone) or 0333 003 1505 (mobile friendly) and get one step closer to the money in your bank.